Welcome to the sixth episode of Kidmin Talk, the webcast show hosted by Karl Bastian, the Kidologist. 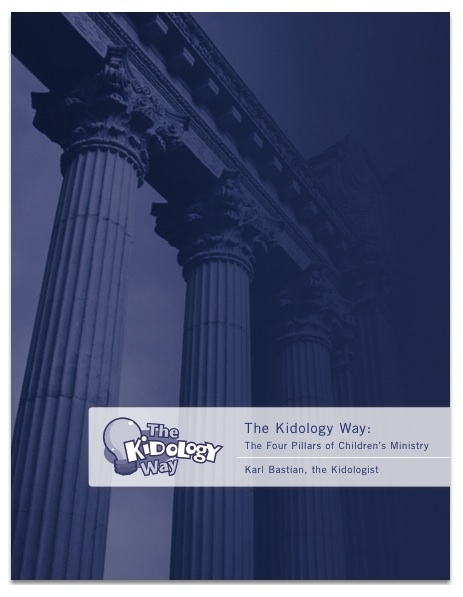 Listen here on Kidology or subscribe via iTunes to listen on-the-go with your iPhone, iPod, iPad, or other mobile device. When Joel Smith hosted Kidmin Talk! God loves every child and therefore we accept them and love them, just the way they are. Children who need special attention are lovingly welcomed. Our environments are kid-friendly, engaging and educational. Our volunteers strive to understand a child’s perspective and strive to make the message of Christianity relevant to the life of a child. We have “fun,” but it is fun with a purpose! Therefore our teaching is creative and engaging and connects with the world of kids in order to help them connect with God. We strive to be relational, not just informational. While we creatively teach important spiritual truths to our children, we understand that building relationships with children is the most effective tool. Throughout all of our programs we seek to connect children with loving adults who know and love Jesus - understanding that this will be more effective than any program, product or lesson ever will be. We believe that children are important and matter to God. Not only can children come to faith in Jesus Christ, but God commands adults to come to Him with the simple faith of a child. We present the Good News of salvation through Jesus often, clearly and provide opportunities for children to invite Him into their life as their Savior and Friend. If resources lack the Gospel message, we will be sure to include it, for we believe that without saving faith in Christ, no other Bible lesson truly is applicable nor has eternal consequence. We recognize that Jesus gave one primary command when He returned to heaven: go and make disciples. However, we further recognize that making disciples ought not be something that happens haphazardly in the course of church attendance. It should be approached with intentionality and strategy and with a focus on the individual. After the Gospel is accepted, children need a solid biblical foundation laid that will enable them to grow in wisdom and knowledge and character in a manner that will last a life-time. Empowering parents and others to intentionally disciple children is a critical component of developing life long devoted followers of Jesus.